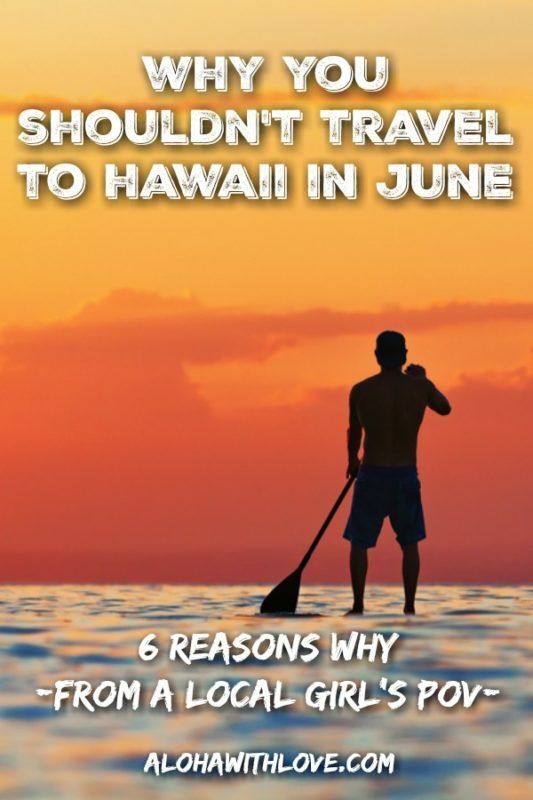 Why you shouldn't visit Hawaii in June. But if you’re looking for reasons not to visit Hawaii in June…well, here they are. Although they are few and far between, they’re pretty important since they’re all related to the change in season. June. The weather is just starting to warm up to that nice, tropical tempo. The heat isn’t bearing down on you with all of its weight, and you aren’t sweating buckets and feeling icky. The perfect combination of warm sun rays and cool tradewinds drifting upon your heated skin is an everyday beat that everyone in Hawaii enjoys. In fact, there aren’t many travelers who would say to avoid Hawaii during this month. But there are a few things that you’ll completely miss out on if you visit Hawaii in June. The biggest one in my opinion are our humpback whales! 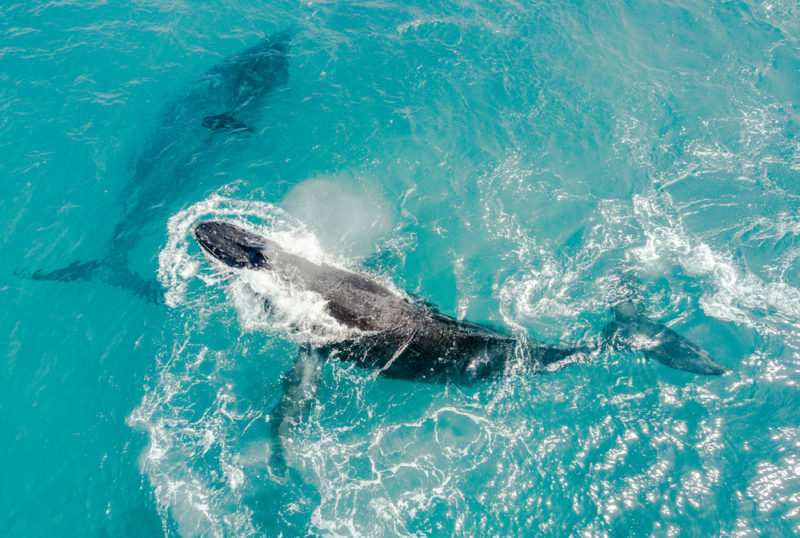 Consider your chances of seeing humpback whales in Hawaii breach, bob and spout at zero percent if you visit Hawaii in June. Officially, they can be seen in Hawaii from November thru May, but it’s harder to see them outside of January thru March unless lady luck is your best friend. Whale watch tours may not run in June, but you can still book them in advance. Click to read my post on Hawaii’s humpback whales and find out how, when and where you’ll have the best chance of seeing these amazing creatures. Humpback whales are Hawaii's annual visitors. Winter in Hawaii means waves. I’m talking HUMONGOUS waves. And daredevil, flirt-with-death surfers. Of course you wouldn’t (and shouldn’t) go surfing, but spectating is a whole different story. Seeing the pro surfers doing what they do best is nothing short of wow! But if you’re determined to visit Hawaii in June, check out the south shore where you’ll see slightly larger waves than the rest of the year. These waves are nothing compared to the north shore’s winter waves, but they’re big enough for seasoned surfers to show off their talent and tricks. 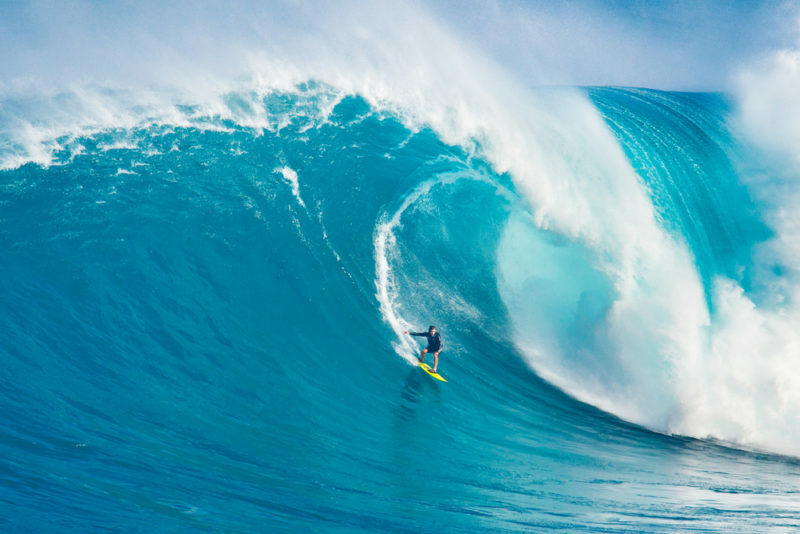 Plus, if you’re an amateur surfer yourself, you might just prefer to visit Hawaii in June for wave sizes that are more suitable for your level. Interested in some surfing lessons? Even winter is a great time to learn surfing – including true beginners. Surfing instructors know which beaches to avoid and keep track of wave movement on a daily basis. Surfing in Maui during the winter. June 1 – November 30 is when locals pay an extra bit of attention to the weather channel. Our news crews are constantly scanning the skies for movement and anything that even resembles an eyeball gets serious statewide attention. If you visit Hawaii in June, make sure you are keeping up with local news networks as hurricanes can form and disappear in just a few hours. I even remember my first hurricane – Hurricane Iniki. My Dad spent several days boarding up the windows and sealing off any potential leaks. Everything outside was gathered and anchored down with rope and knots. I mostly remember feeling sorry for the geckos that normally hung out outside on the window screens eating bugs. These days, hurricanes mostly create headache for those who have planned ahead. We can see hurricanes coming days in advance, but we don’t have a clue as to what effect it will have on the islands until the day before. Which is much too late to make any kind of decent flight and hotel changes at an affordable price. I used to work at a lei greeting company and one hurricane forced at least half of our customers to cancel or postpone their flight. The next day that same hurricane fizzled out and it was a gorgeous clear-sky day. Figures. Hurricane in Hawaii pushing palm trees like grass. It’s true that the beginning of June is a good time to travel. Not only is it comfortable, but there are less people, flights to Hawaii are cheaper and hotels are a tad more affordable. But from mid-June and on, don’t be surprised if you see higher prices. There’s a bigger demand for Hawaii travel from here on out and as demand goes up, so does price. Summer break means one thing to me when it comes to traveling: kids are not in school. This is true not only for Hawaii visitors, but also Hawaii kids themselves. And I’m not talking elementary, intermediate and high school students. I’m talking about Hawaii’s university and college students (we have 16 institutions!). They are a force to be reckoned with and you’ll be visiting the beach with most of them because what else are they going to do? Local Tip: Despite more students with free time walking around Hawaii after their 2nd semester, traffic is actually pretty bearable while school is not in session. It certainly helps that all those students are sleeping in when we’re all trying to go to work! 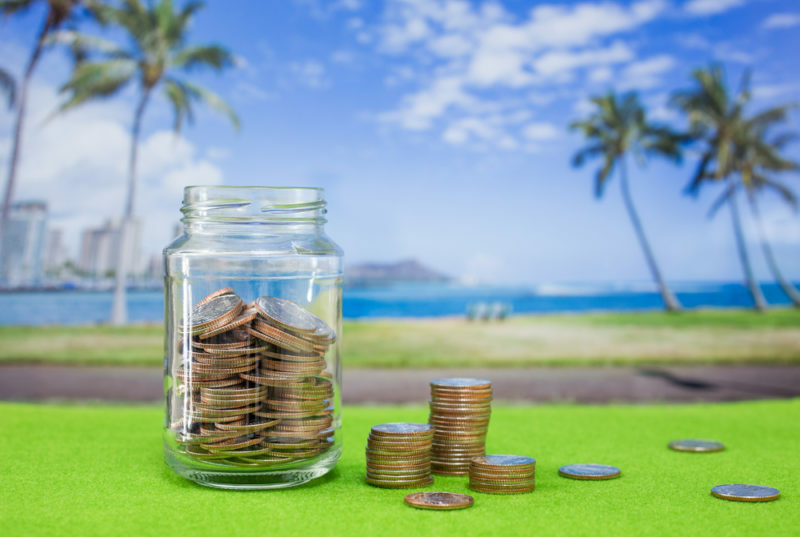 June is generally considered to be a comfortable month to travel Hawaii. It isn’t too hot or muggy yet, the tradewinds keep everything cool and you can make do without a light jacket in most places. But keep in mind that August is usually the hottest month in Hawaii. The longer you wait to visit Hawaii in June or in any following month, the warmer you’ll be. On average, August temperatures reached the upper 80’s (fahrenheit) last year. There you go. 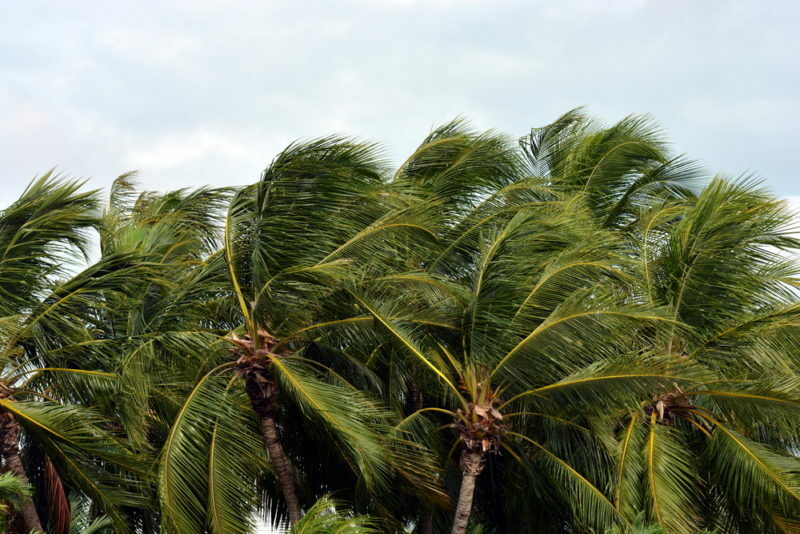 6 things that can really put a damper on your vacation if you visit Hawaii in June. What about you? Have you come across anything in June that’s disrupted your vacation in paradise? 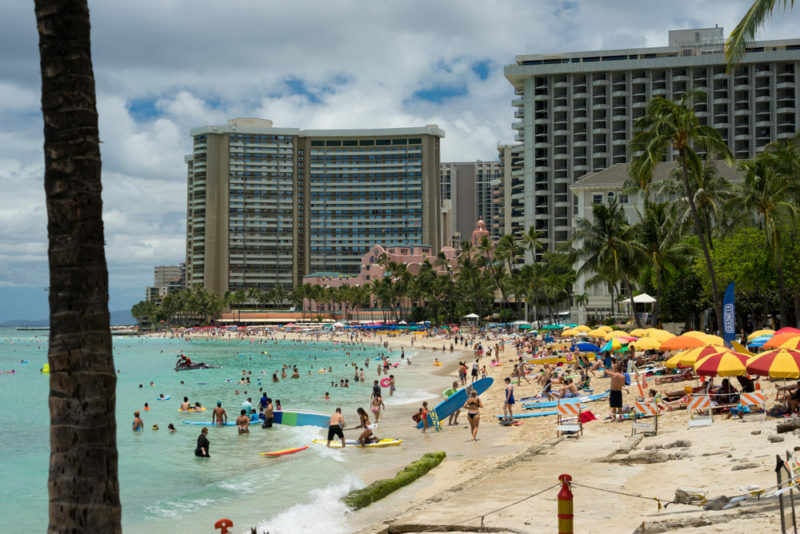 Leave a comment below to keep other Hawaii travelers in the loop. Mahalo! Go Visit Hawaii has a pretty awesome post about traveling to Hawaii in June and the hotter months. They get more into the statistics and science behind it all. Check them out!